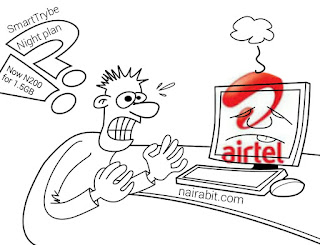 Airtel SmartTrybe night browsing has been increased to N200 for 1.5GB. 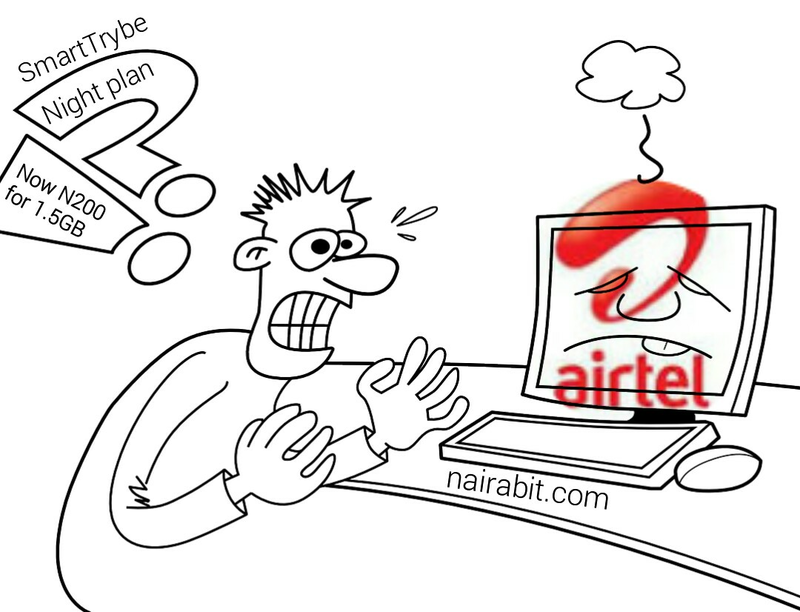 One of nairabit whatsapp group member sent a message that he was having issues subscribing to the Airtel Night plan of N200 for 1.5GB. I asked what code and what response did he get when he tried subscribing, and found out he had gotten the code right but the message he got from airtel is " insufficient balance". Suprised, I decided to subscribe to the Airtel SmartTrybe night plan myself and found out N200 has been deducted. Had to talked to a customer care agent who confirmed the price has been increased to N200 from N50, that's 400% increase! Although the Airtel night plan of N25 for 500MB is still intact. Airtel has been clumsy these past couple of days, first, they reduced the 20GB for N200 to just 200MB and also removed most of the allocated 20GB data already given to subscribers without any notice and now this? The NCC ( Nigeria Communications Commission) and CPC ( Consumer Protection Council) really has a lot to do, as it seems. We shall keep you updated on any further news about this Airtel Night plan.